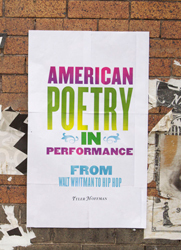 19th- & 20th-Century American Literature and Culture; Poetry and Poetics. 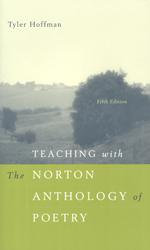 Author of Robert Frost and the Politics of Poetry (New England, 2001); Teaching with the Norton Anthology of Poetry (Norton, 2005); and American Poetry in Performance: From Walt Whitman to Hip Hop (University of Michigan Press, 2011). 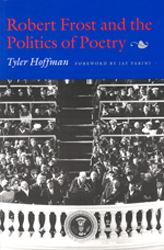 Articles and book chapters on a wide range of American poets, including Walt Whitman, Emily Dickinson, Herman Melville, Frances E. W. Harper, Paul Laurence Dunbar, Robert Frost, Vachel Lindsay, Wallace Stevens, Elizabeth Bishop, Gary Snyder, Thom Gunn, and contemporary slam poets. Book in progress entitled Remediating American Modernism: Poetry, Posterity, and the Public Sphere. Editor of Mickle Street Review, Associate Editor of The Robert Frost Review, and past President of the Robert Frost Society (2005-06). Director of the Graduate Program in English (2002-2008). Associate Dean of the College of Arts & Sciences (2008-2013); Chair, Department of English (2013- ). Page last updated at 10:53 am August 11, 2017 . This page was printed from hoffman.camden.rutgers.edu/ on Monday, April 22, 2019.